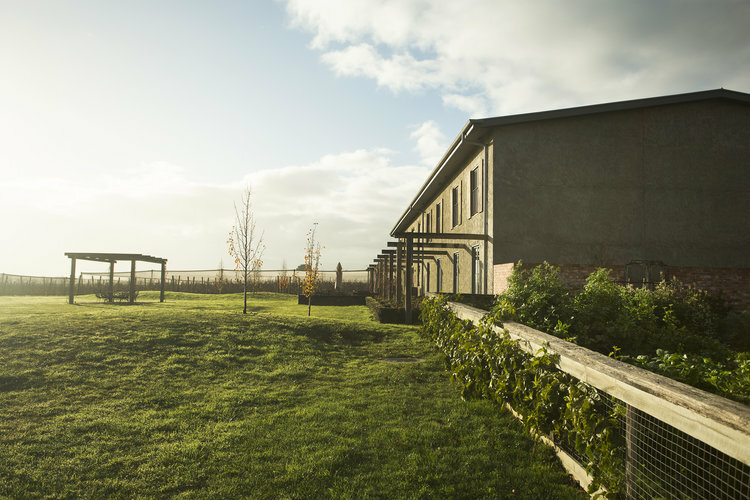 A hour from the centre of Melbourne, in the heart of the Yarra Valley, you will find The Farmhouse at Meletos. The Tuscan-inspired Farmhouse is a two-story, 23-room boutique guesthouse. Inside the beautifully decorated lobby, set by floor-to-ceiling panelled windows, guests can gather by the Cheminees Philippe fireplace, perfect for curling up with a glass of local fine red. 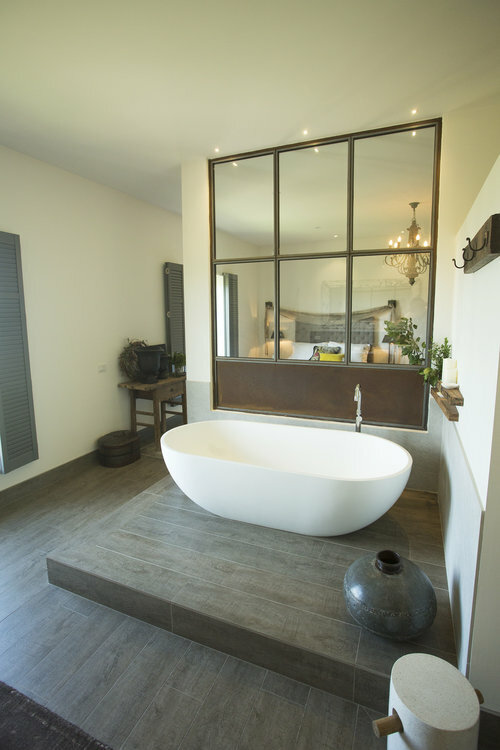 All guest rooms at the Farmhouse are furnished with luxurious textiles, leather and vintage timber and a luxury ensuite with Bvlgari bath amenities. The ambience is relaxed, elegant and no attention to detail has been spared. When you book, specify that you would like an upstairs room overlooking the vineyard. There is also the Tuscan suite, which has extra space and a large soaking tub along with those magnificent views through to The Great Dividing Range. With two outstanding restaurants - The Stables at Stones and The Meletos Café, both within walking distance from the Farmhouse, the hotel offers a choice of six superb stay & dine experiences for guests to choose from. Should you be staying on a weekend, you may choose to dine at The Stables which is the flagship fine-dining venue housed in a 19th-century red-brick building. You are transported into a rustic candlelit space of rough-hewn beams, distressed painted brickwork and long pedestal tables. Chef Hugh Davison creates multi-course, seasonal tasting menus matched to local wines. Weekday meals are served at Meletos Café. The European-inspired café is housed in a collection of re-birthed farm buildings, and serves beautiful food from some of Victoria’s finest produces, many of which are located literally next door. 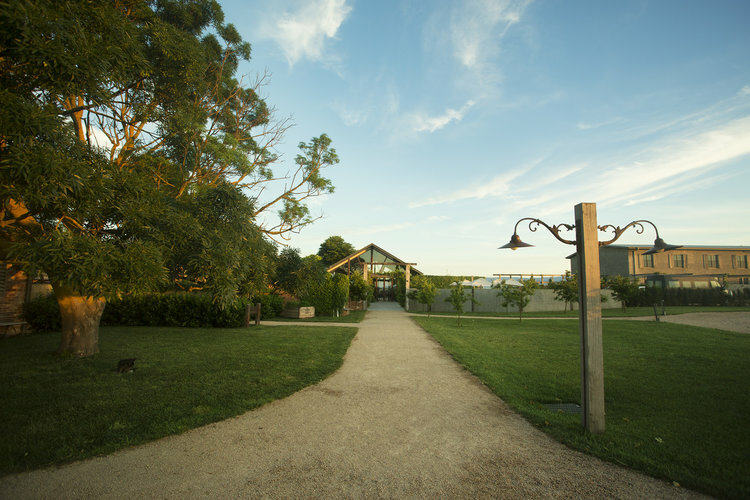 With scores of wineries, cideries, microbreweries, artisanal produces and the small townships of nearby Yarra Glen and Healesville at your doorstep, be sure to leave plenty of time to explore! © 2019 The Mosman Nomad. All Rights Reserved.